As well as being an internationally important habitat for various species, the River Dee in the north-east of Scotland attracts anglers for sea trout and Atlantic salmon from across the world. To protect the health of the river and wildlife, the Dee fisheries board and trust has a team of 14, comprising water bailiffs, development officers, office staff, biologists and other scientists. A key member of the team is Jamie Urquhart, who talks here about his career. 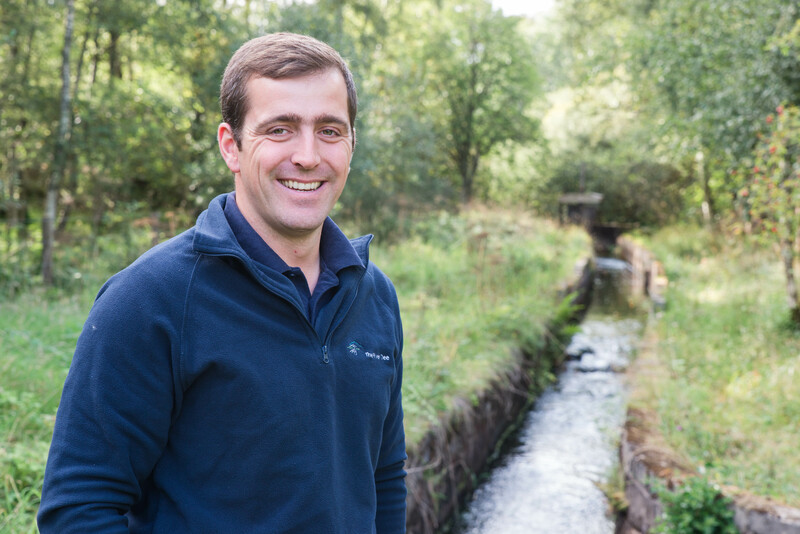 “I’m a biologist with the River Dee trust and my job entails working across the catchment area, looking after environments associated with the river, but also managing the bailiffing team as well. They effectively protect the interests of anglers by making sure that laws regulating fisheries and fish stocks are observed. “After doing a degree in ecology at the university of Aberdeen and getting a grounding in the subject, I stayed on to work on an invasive species project. I learned a lot about the Dee, the Don and the Ythan rivers, and that really led me to fisheries management as a career option. The experience I gained on these different catchments really helped in getting my current position. “For me, there’s no such thing as a typical working day. I can be in a different part of the catchment, out in different seasons or out in different weather conditions. Just recently, I’ve been on the river policing with the bailiff team, doing electrofishing with colleagues to monitor juvenile fish numbers, working at one of our fish counters and doing habitat surveys. There really is so much variety in this role. “Throughout the year, our work continues to change too. At the start of February the fishing season opens here on the Dee, and that runs right through until October. We carry out policing and bailiffing to protect the salmon and sea trout which are coming into the river. In summer, there’s a lot of survey work to be done, and that takes us across the catchment area, looking at our juvenile fish numbers, at freshwater pearl mussels, and monitoring some of the habitat works that we’ve carried out. “Then through winter there’s counts of salmon and sea trout that are spawning in the river and assessing their abundance over that period. “The best part of the job for me is having that variety. Although I might spend 20% of my time doing work in the office, most of my working day is actually spent outside, enjoying the fresh air and seeing wildlife which folk often don’t see. It’s a great environment to work in. “Living and working in the north-east here is really a bonus. The coast and the Cairngorms are within a short distance of each other and the scenery around us is stunning. It’s a short journey for me to work and I’m out in this spectacular environment throughout the year. “I’ve recently taken a change in career path and I’m managing the bailiffing team within our fisheries board as well so I’m progressing my career. Although I’ve still got a hand in the practical side of the work, I’m also managing staff now, and looking to continue on that career path further in years to come.